The best page for the latest Logan’s menu prices. Logan’s Roadhouse is an American casual dining steakhouse and is famous for their Southern-inspired menu items and mesquite-grilled steaks. It’s not just about hand-cut steaks at Logan’s. Expect to find burgers & sandwiches, American favorites, ribs, chicken, and fish. You will always be surprised with a visit to Logan’s when you try one of their new seasonal specials. While their recipes vary, they all bear the trademark Southern inspired taste, and their original recipes are based on unique collections. In addition, Logan’s continues the time-honored tradition of making dishes from scratch served with Roadhouse Tea or some ice cold beer, making guests feel right at home when they dine. Below are the latest Logan’s Roadhouse menu prices. Logan’s Roadhouse does not accept reservations. Logan’s does have a call-ahead seating list. If you know the time you will be there just call your favorite location and let them know you are on the way. If you are planning a special dinner event or are part of a large group, please call the restaurant manager to help accommodate you. This is a great way to receive exclusive offers, the latest news on menu additions and special events happening at your local Logan’s Roadhouse. Signing up is free and only takes a few minutes and start receiving all the benefits in your email inbox. Give them to family, friends, or buy them for yourself. We won’t tell. You can purchase traditional gift cards online and have them sent via postal service or you can send an e-gift card and the recipient will receive it in their email inbox almost immediately. You can also purchase Logan’s Roadhouse gift cards at major retailers. Logan’s Roadhouse is always looking for team players that enjoy working with the public and care about serving quality food. Visit the Careers page on the Logan’s Roadhouse official website to learn about current openings and opportunities, read about their manager-in-training program, and about the competitive compensation package. The first Logan’s Roadhouse location opened in 1991 in Lexington, KY. Today, there are over 250 locations in 23 states. LRI Holdings, Inc., a publicly traded company, is the parent company of Logan’s Roadhouse and headquartered in Nashville, TN. 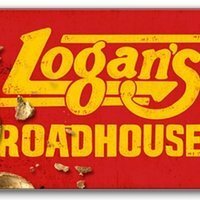 Be sure to follow and connect with Logan’s Roadhouse through various social media platforms. For more information about Logan’s Roadhouse, please visit their website. Very disappointed with price increases, will eat at Cheddars, O’Charleys and Texas Roadhouse!! Sorry, we were repeat customers! Very disappointed with the overall services and the steaks they could not even get them correct!! I have been coming for years and they are getting worse!! We went just to have the newly advertised fish and chips. What a huge disappointment. We were served frozen fish triangles. I brought mine home for the dogs. Won’t be back. We really like Logan’s grilled salmon and have been getting it for years. Miss the two for $15.99 as the portion was more than enough for us; believe they have an $8.99 for one from special menu and it is served with one side. At any rate, we patronize Logan’s and are happy with food and service. I visited Logan’s at Noblesville In this afternoon, we ordered the $8.99 meal, wife ordered the sirloin steak and got 2 sides, sweet pot, salad. I ordered the Chopped steak, sweet pot, baked bean, but I was charged $.99 for the baked beans, was this not part of the package deal, have u guys changed ownership, not as populated as in the past, u raised your prices, and we had to wait long time it seemed for our meals, the waiter was ok, but both our sweet potatoes were not like we got in the past, will y’all change your ways or must we be looking for another steak house? We ordered our takeout food at 7:00 on Monday evening in Leeds, Alabama, they said it would be ready in about 20 minutes. Then they called and said that they didn’t have some of the foods so we ordered something new. We got there at 7:45. They then told us they didn’t have any bread to make the sub sandwich. So we reordered that. Then after about 30 minutes, they said oh we forgot the salads. We finally got our food at 8:53. Needless to say all the food was COLD. We were not given half of what we ordered and no one offered to discount anything or even offer us a drink since we had to wait so long. We have marked Logan’s off our restaurant list.